Highly attuned to the Earth’s electromagnetic fields and energy systems, Picture Jasper provides a remarkable ability during meditation to merge with the consciousness of Earth. It allows access to the vast records stored within the planet’s mineral data base, and may be used to view the world’s history and connect with the energy of sacred sites and ancient civilizations. It encourages ecological responsibility, and acts as a reminder that one is not here on the physical plane simply for oneself, but to bring joy and substance to others. A nurturing, protective stone, Picture Jasper brings comfort and alleviates fear, stimulating not only the Base Chakra in providing physical and spiritual energy for the body, but also activates the Third Eye Chakra enhancing visualization. It instills a sense of proportion and harmony, enlivening one’s creativity and initiative, and is a marvelous talisman for bringing hidden emotions to the surface for healing. Picture Jasper is highly beneficial for locating ley lines and power points of the Earth’s meridian system for assistance when setting up energy grids, positioning a home or other new construction, or for maximizing energy transfer in healing or psychic endeavors. It is particularly resonant with Earth-centered magical practices and ceremonies employing elemental forces. 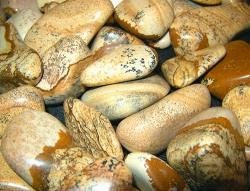 Picture Jasper inspires creative visualization and is ideal for overcoming writer’s or artist’s block. It is an excellent talisman for psychic artists who paint spirit guides. Picture Jasper encourages initiative and is particularly helpful in all business pursuits. Wear or carry this stone to inspire confidence, creative vision and practical application in starting your own business. Wear or carry Picture Jasper when traveling abroad, especially for backpacking or living in other countries. Exchange Picture Jasper with a partner if you are from different cultures to help fit into each other’s worlds. 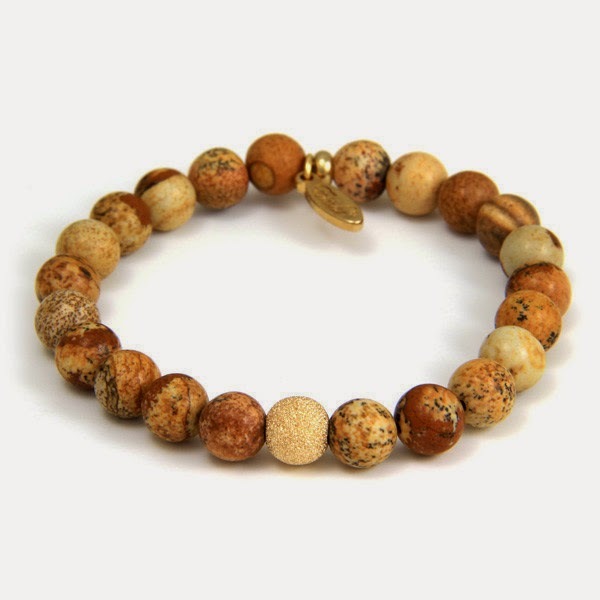 An ecological stone, Picture Jasper is an ideal support for occupations in conservation and alternative forms of energy. Use in the home or workplace to alleviate geopathic, environmental and technological pollution and radiation. Picture Jasper is superb for healing and sustaining the physical and emotional bodies during injury, prolonged illness or hospitalization. Its Earth energies bring gradual strength and renewed vitality, while helping one to understand and endure these frustrating or painful experiences. 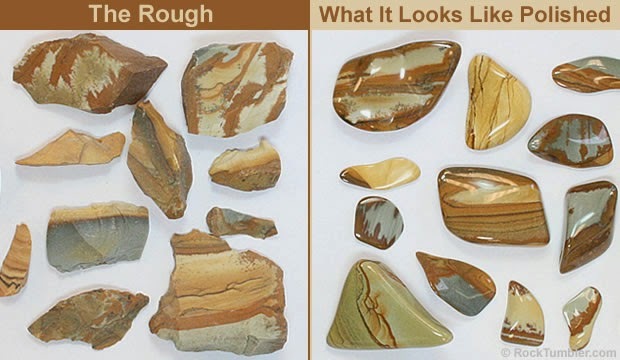 Use Picture Jasper for cutting down or quitting smoking. It removes harmful toxins from the system over time, and increases the resolve needed to overcome the cravings and emotional triggers that perpetuate the behavior. Jaspers are believed to increase fertility and are conducive to happy pregnancies. Picture Jasper is particularly protective during childbirth. Picture Jasper is an opaque, microcrystalline variety of Quartz with extraordinary color banding, veining and depositional flow patterns created by petrified or silicate mud and sometimes dendritic inclusions. On cut or polished stones, these variations appear as detailed images or “scenes.” Because of its unique landscape patterns and wide range of colors, Picture Jasper is one of the most sought after and famous varieties. It occurs in nodules or as fillings in fissures and may be found the world over, usually named for the specific localities where it is mined. Picture Jasper’s earthy colors are due to high iron content and other minerals or impurities that create its artistry. It forms most often in shades and combinations of brown, gold- to reddish-brown, black, blue, tan or ivory, though other colors may be present.